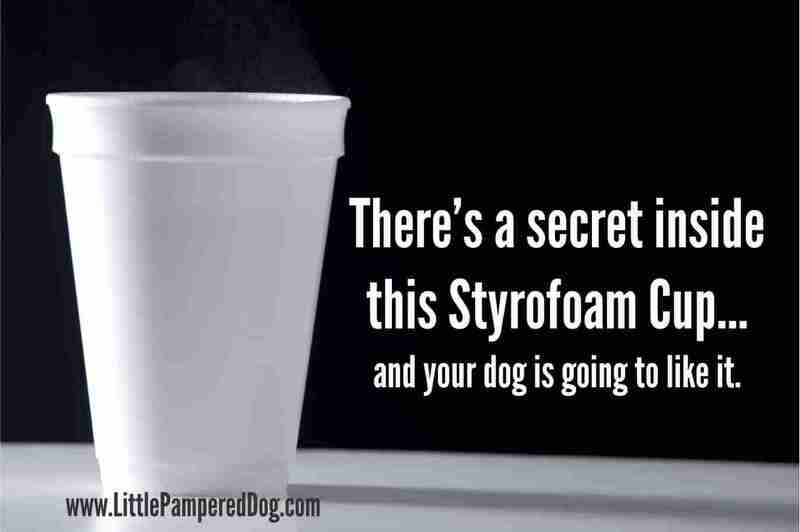 There’s a secret inside this Styrofoam Cup…and your dog is going to like it! You’ve heard of secret restaurant menu items, right? Well, if you haven’t let me fill you in. Some restaurants have secret items on their menu – items that they don’t publish or make public but are available for purchase by “those in the know.” Presumably restaurants do this for marketing reasons. Their “secret” gets out to the public and people start sharing the secret. Next thing you know, everyone is going in for the thrill of ordering off menu – just to see if the secret options are real. Imagine reading somewhere online that there’s a secret selection available at your neighborhood hangout. You don’t know if it is true so you Google it. It seems confirmed. You might just purposely go to your favorite eating establishment to try it out. You start talking to your friends about it. The restaurant gets all of this great word-of-mouth publicity and you feel so “lucky” to be one of the few who know about this secret. I know you are wondering why I am telling you this. Stick with me as this does pertain to your dog. I discovered a secret menu item at a favorite international fast food company and that menu item is specifically for dogs! My husband, our dog, Bella, and I went on a day trip this weekend. We never leave home without Bella, so, of course, she was going too! On our way home, we passed a Dairy Queen and, well, you know…he needed a shake and I needed a Blizzard(TM). I told Thor (the Hubs) to make sure to get Bella a little vanilla ice-cream. We’d happily pay full price for a small cup but when Thor explained that it was for our dog the clerk said “Oh, you need a ‘Pup Cup’ and they’re free!” The ‘Pup Cup’ consisted of a small Styrofoam cup with soft-serve vanilla ice-cream. Bella loved it and Thor and I loved it too! I couldn’t believe it. How did I live on this earth all of the years and not know that Dairy Queens would offer a little ‘Pup Cup’ for dogs for FREE?! I just love companies that celebrate dogs and because of the ‘Pup Cup’ Dairy Queen now has my loyalty. You know where I’m going for ice-cream from now on – that’s right – Dairy Queen. I did a bit of research to see if this ‘Pup Cup” was only available at this particular Dairy Queen but when I Googled “Pup Cup Dairy Queen” I saw entry after entry on blogs and forums and the like where people were thrilled that their dogs could get a little special cup of ice cream all their own. I did note that some Dairy Queen locations do include a small bone shaped dog treat in the Pup Cup. It also looks like the cup itself varies from location to location. Similar to other “secret restaurant items,” the Pup Cup may or may not be available at your local Dairy Queen. You’l need to ask to confirm. Before you start giving your dog ice-cream please remember that chocolate can be deadly for dogs, so that’s off limits – it’s vanilla ONLY. Also, some dogs, like humans, are intolerant to milk products – so check with your vet first. But if your vet gives you the go-ahead for the occasional treat, make sure to stop by Dairy Queen next time you have a craving for something cold and sweet for you and your best friend. It’s important to support those companies that are dog-friendly. The more we vote with our wallets, the more businesses will find it important to cater to our best friends and, consequently, the more opportunities there will be for us to enjoy doing everyday things with our dogs – like enjoying a bit of ice-cream together! When we bring our dog to doggy day camp, every once in awhile he greats a ice cream treat, but it’s made just for dogs. Not human consumption. JMO! Thank you for the heads up on the potential lactose intolerance of dogs. It’s something I will be certainly researching for all of us here. It’s funny because I had a vet that always gave Bella (and all of their doggy patients) vanilla ice cream – the human kind – after every visit. I specifically asked him and he said it was low-fat vanilla human ice cream. 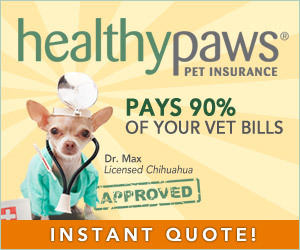 The vet said he wanted to create a positive association with “going to the vet” for their dog-patients. Regardless, I think we can all agree that ice-cream in any form should be “a treat” for both humans and canines! But your comment and opinion is certainly valid and a great heads up. Stay tuned as we research lactose tolerance in our canine companions! We’ll report our findings soon.